This section of the handbook outlines resource materials recommended by NBMTM for examination preparation. The expanded examination content outline provided below is a useful tool for course and curriculum preparation and to judge the relevance of topics to the content of the examination. The below content outline is for the initial certification examination. Please note: The below content outline is for the initial certification examination. The BCMTMS™ examination addresses the following subject matter. Candidates are required to demonstrate proficiency by answering examination questions that evaluate their knowledge of facts, concepts, and processes required to complete the tasks described below. NBMTM offers an online practice examination, available on our website at www.nbmtm.org. The BCMTMS™ practice examination is a 30-question multiple choice computer-based test and can be purchased for $50. Once purchased, the practice examination must be taken immediately, and expires three hours after purchase. The online practice examination allows candidates to familiarize themselves with the testing software. It is an excellent tool for applicants to become comfortable with the computer-based testing format. 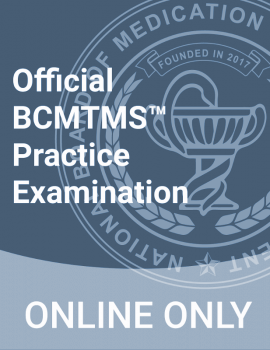 Please note that this practice examination is not intended as a content-based study tool, and does not accurately reflect the current content on the BCMTMS™ examination. For this reason, the practice examination does not provide answers for the questions after submission, but merely reflects a “pass” or “fail” to the candidate. The practice exam is not proctored online. 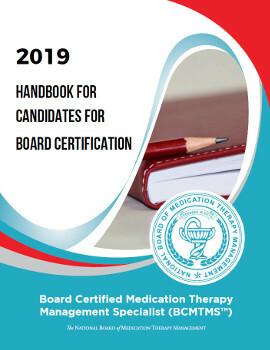 Please note: Good performance on this practice examination does not guarantee that candidates will pass the BCMTMS™ exam and should not be used as an assessment of readiness.